Several on-site amenities allow the youth and the elderly alike to spend quality time while having fun. The recreational committee is responsible for organizing exciting activities throughout the season ! 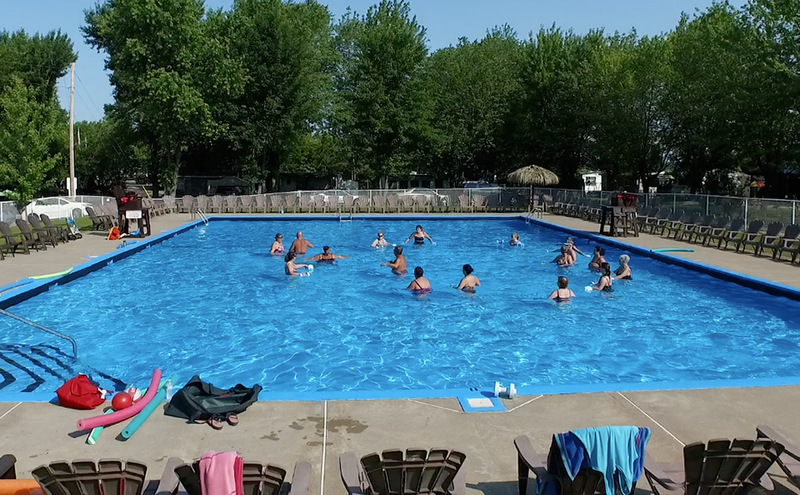 Our campground is a perfect setting for your family vacation: You will find everything you need to relax, space to spare, fun activities and safe facilities to suit all ages. Everything is designed for the children’s enjoyment, the family moments and the tranquility of the parents. For their entertainment, your young children will enjoy a large play area reserved for them (inflatable games, slides, swings and modules). 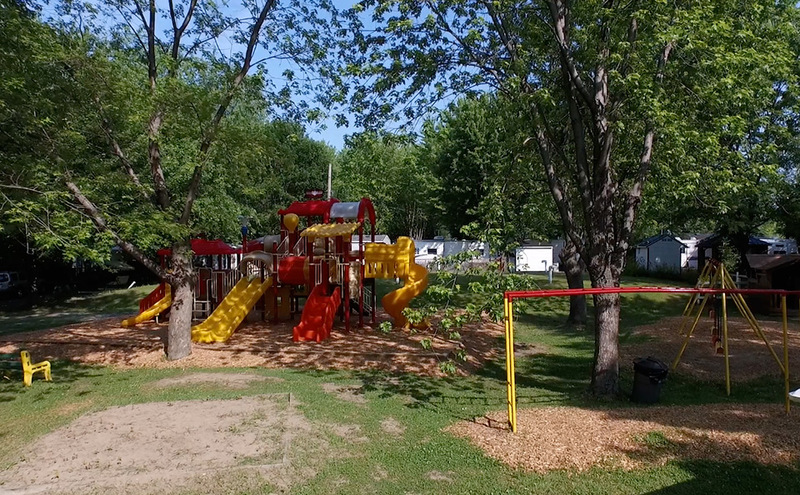 Adults also have access to several swings in the campground’s parks. 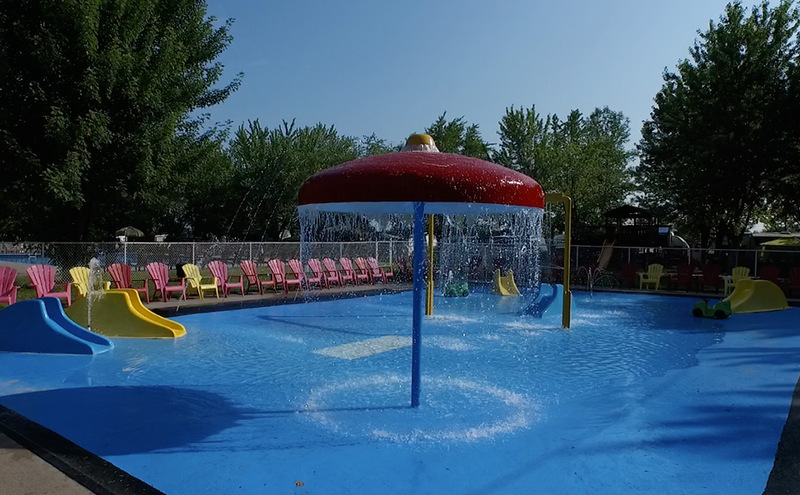 Toddlers will love to have fun in the large wading pool with water jets. Enjoy water fun under the supervision of certified instructors (lifeguards) ! Hungry? Our restaurant (with a capacity of 30-40 seats) offers a simple and very tasty cuisine at a favorable price-quality ratio. Our small dairy bar next door will also cool you off on hot summer days. A nice large veranda, equipped with a mosquito net, will prolong the pleasure of a good meal, a coffee or an ice-cream cone at all hours of the day. If you prefer the sun and the outdoors, sit on one of the many picnic tables set up nearby. Finally, our mini convenience store is there for treats, emergencies and contingencies. The campground is equipped with restrooms and showers, and a very modern laundry room (frontal washing machines). All the facilities are spotless! 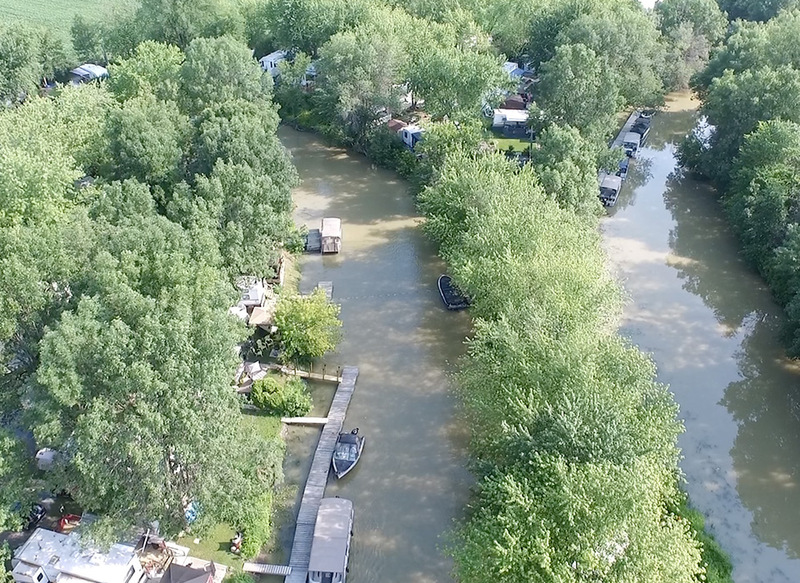 Dreaming of a site that will allow you to combine camping and boating? 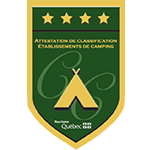 The Terrasse St-Marc campground offers you the unique opportunity to enjoy these two enjoyable hobbies. The site is indeed set up near the Coderre stream, a watershed of the Richelieu River. 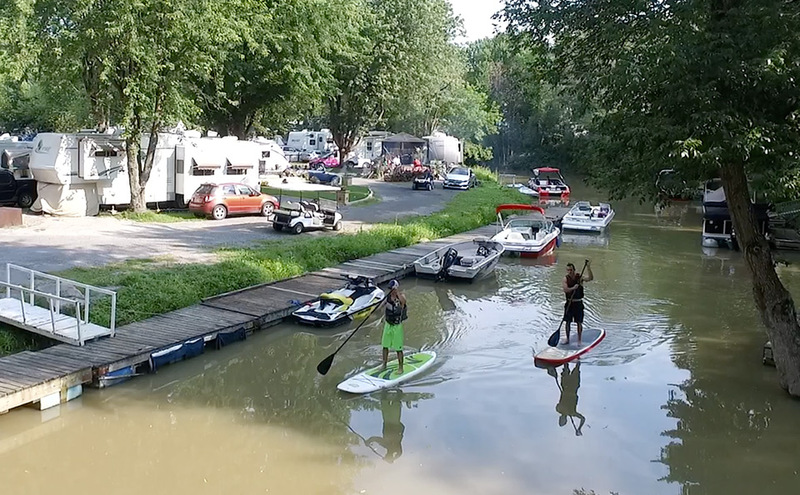 Several camping sites (75) follow its twists and turns and have private docks (for rent) allowing a quick and easy access to the river, and for boats up to 30 feet (9 meters). 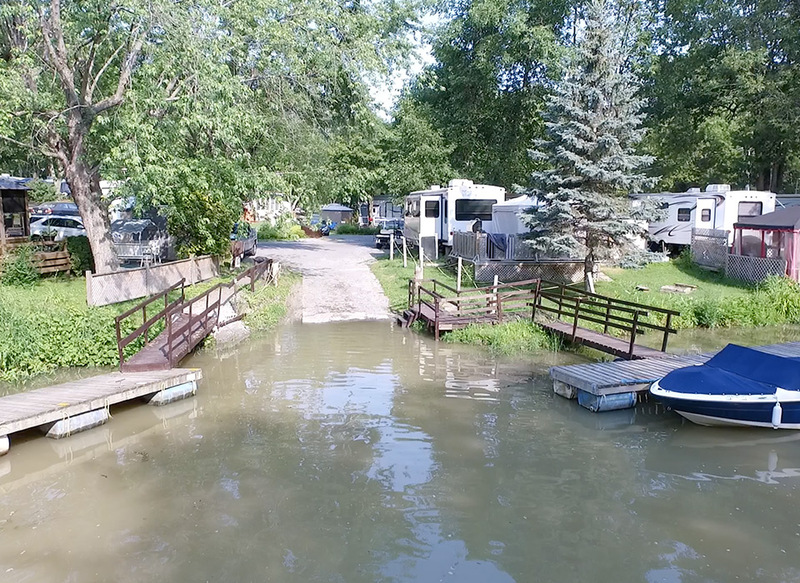 The campground also has a boat ramp. 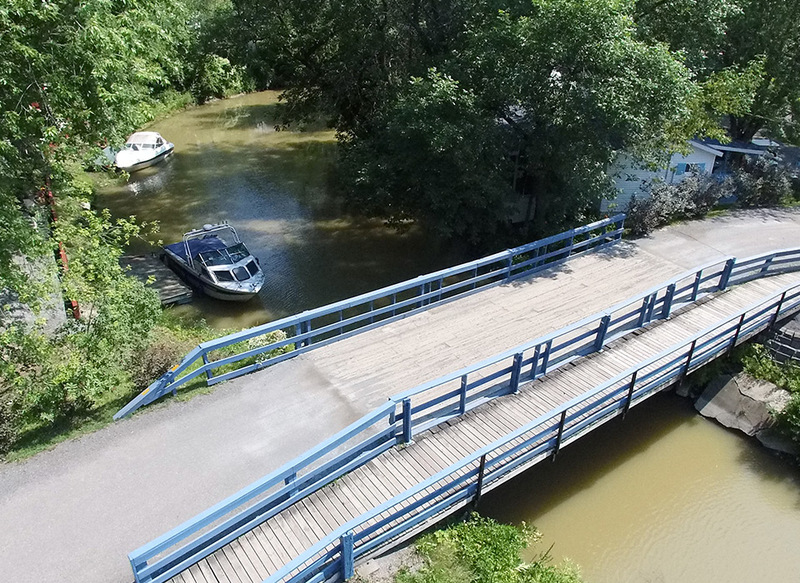 On board your boat, take a trip on this great river that connects the St. Lawrence River to Lake Champlain for water sports, fishing, tourist exploration and many other activities for young and old.